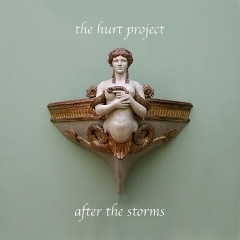 Last winter, we featured a song from NY-based blues band The Hurt Project on our BluesPowR Radio Hour, a smoky, “At Last”-sounding gem of a number entitled, appropriately enough, “Up in Smoke”. Today, we’re pleased to bring you another track from this five-piece outfit (which takes its name from guitarist Marlon Hurt): a gritty creeper from the band’s latest EP After the Storms, released this week. Here’s hoping your weekend is a safe and bluesy one. This entry was posted in Songs and tagged The Hurt Project. Bookmark the permalink.